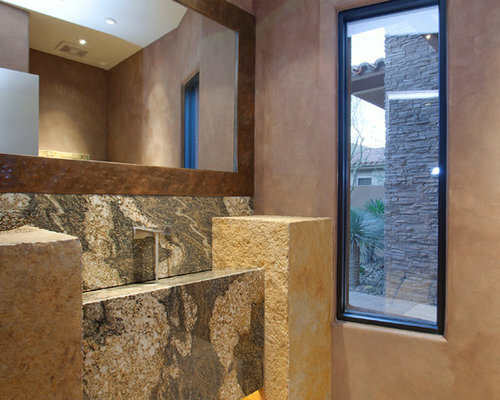 A LEED Silver custom home built buy The Foxx Company & designed by yours truly from concept to completion. 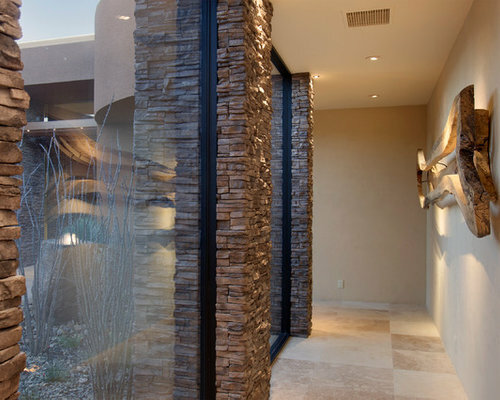 Please note most of the art and accessories were not installed during the photo shoot. 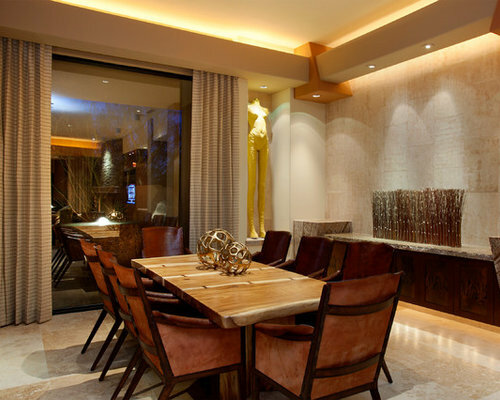 The home was designed for an affluent bachelor who wanted the home to reflect designs native to the region. 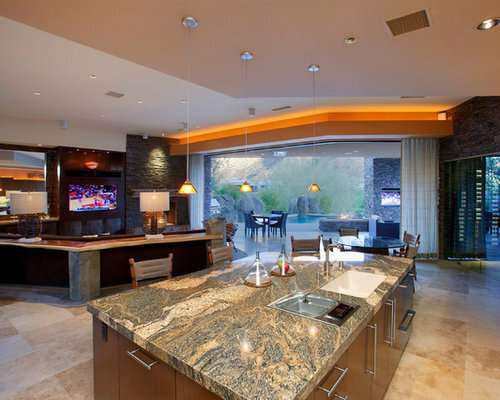 In his words, he wanted the home to reflect the ideology behind the "man cave". 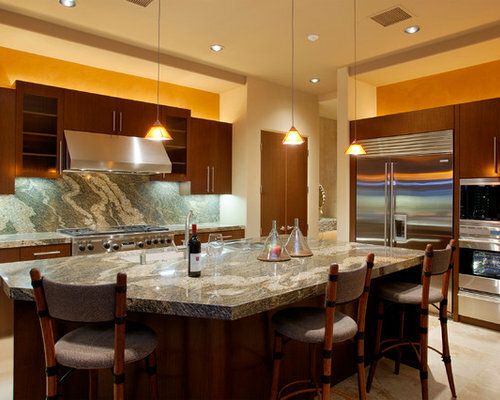 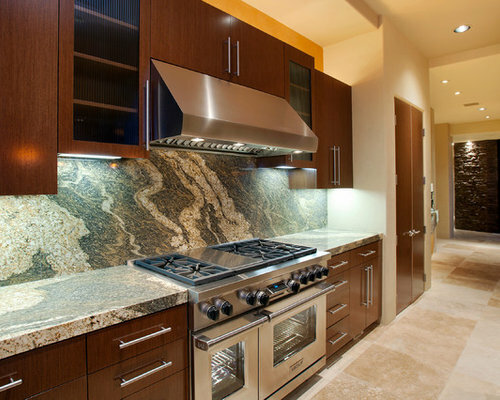 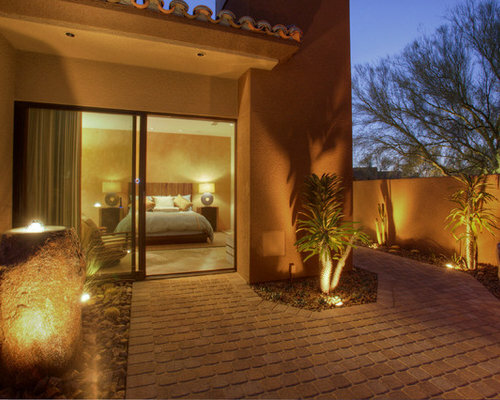 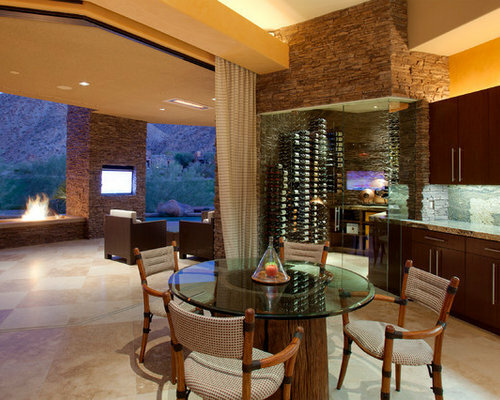 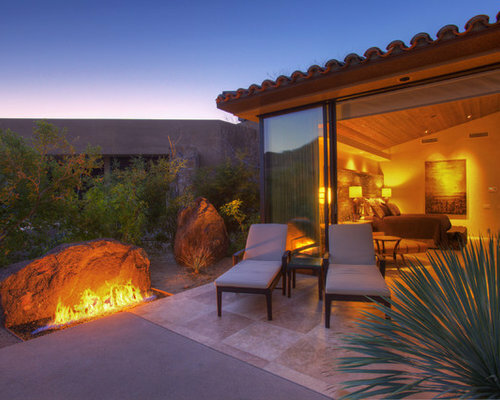 A custom residence in the prestigious Reserve Golf Club located in Indian Wells, CA. 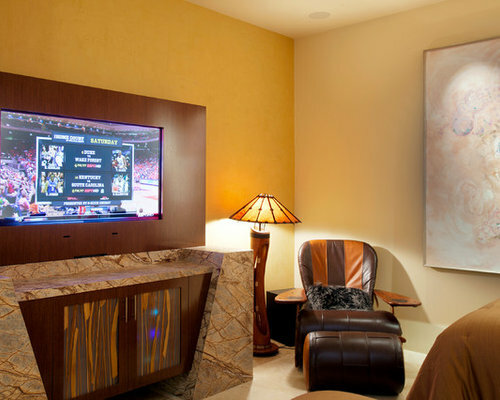 The Living Room features a custom basalt column coffee table base and sofa back table, a 15' custom suede sectional sofa, and a free form are rug. 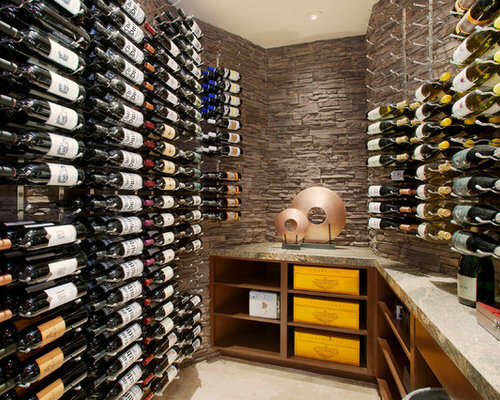 Featured in this photo is the custom walk in wine room capable of holding more wine than one can drink in a lifetime, an indoor-outdoor living space with a seamless transition. 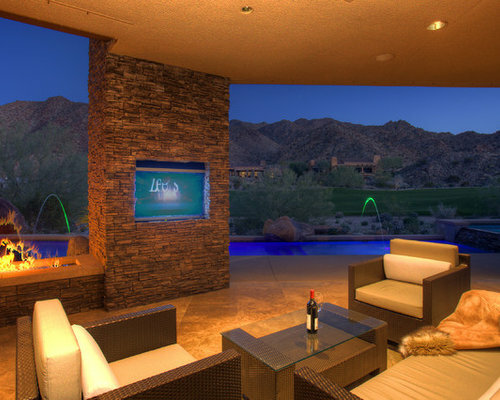 Outdoor Fire pit & water features with an outside TV area. 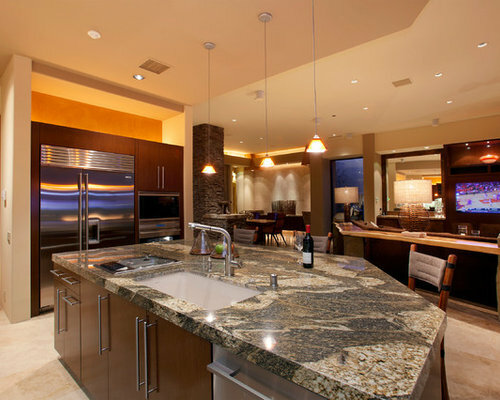 The kitchen offered a drop in steamer, and hidden dishwasher. 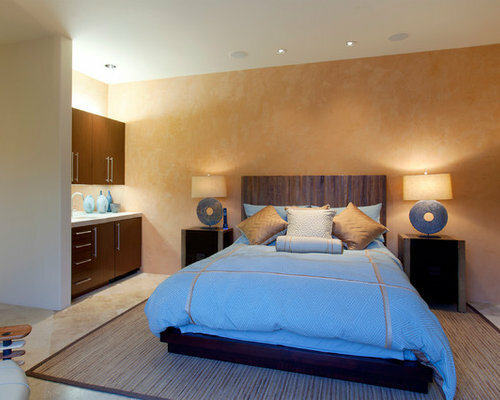 The Master bedroom was a certain highlight of this clients home. 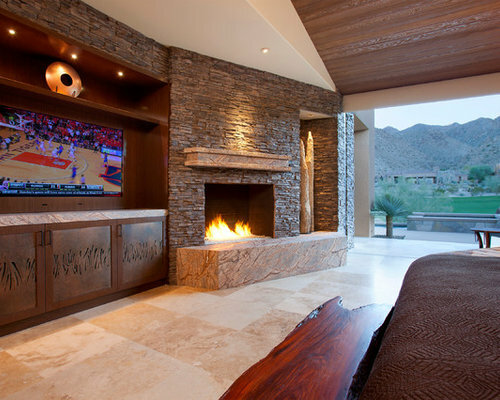 a custom built headboard featured back lit slate with glass. 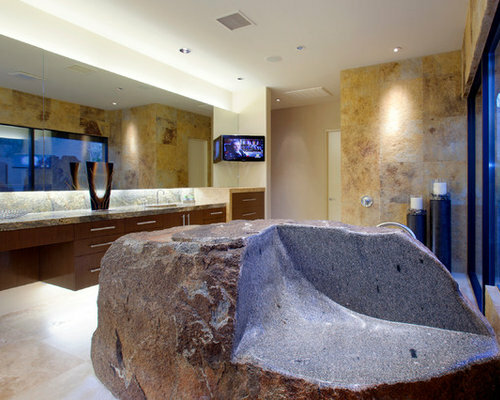 A man cave of a master bathroom unlike any you will ever see. 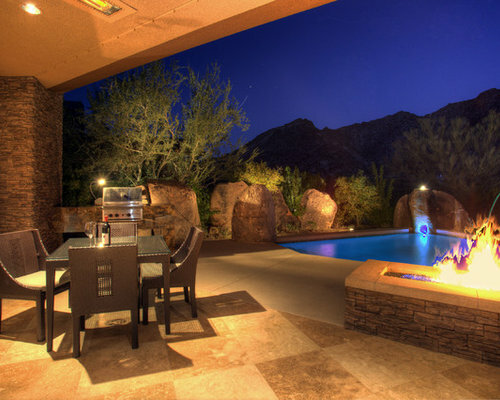 The boulder was hand selected by me from the mountains in Kingsman, AZ. 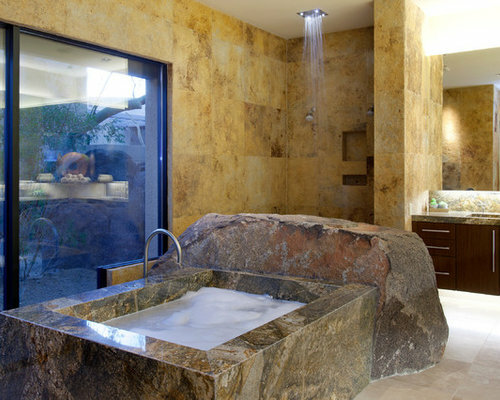 The 2 person bathtub was built into the boulder which acted as a room divider between the shower and bathtub. 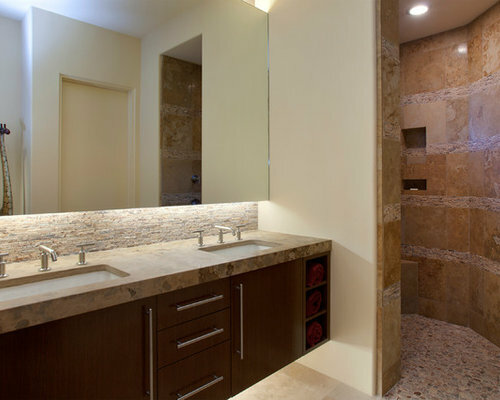 The shower had a ceiling mount LED RAIN SHOWER fit for a king. 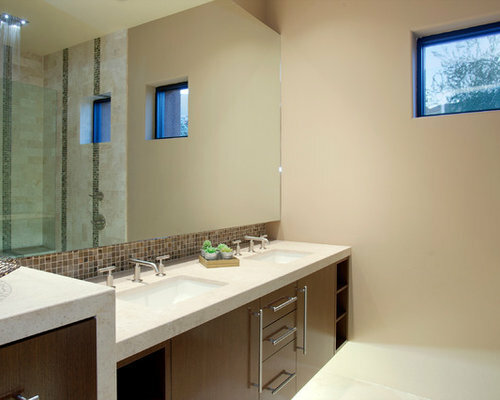 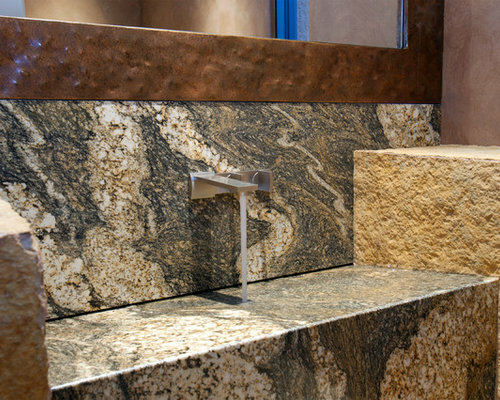 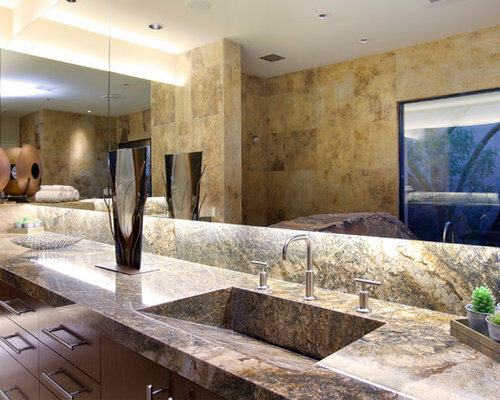 The sinks were custom built from the granite used for the countertops.